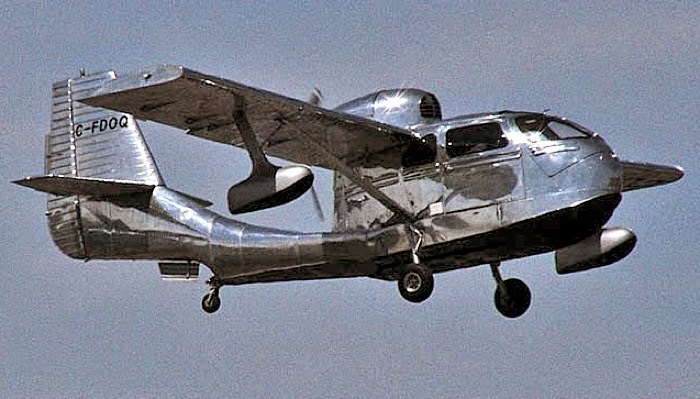 THE REPUBLIC SEABEE IS AN unusual pusher-prop amphibian. 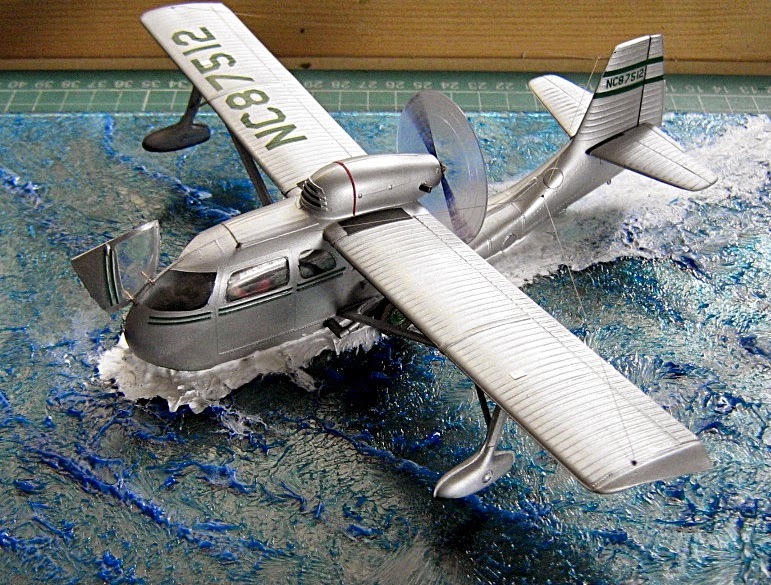 And the 1:48 scale Glencoe Seabee kit is unusual too, for its transparent plastic components. Sad to say, the kit is available only through sales channels such as eBay, as it's not on Glencoe's current release list. But we'd like to make it, so let's hope the Seabee is on a production schedule for an on-sale date sometime soon. The transparent components certainly make fitting windows an easy task - as in, you don't have to. Then again, it means that masking is a time-consuming and fiddly task. Overall though, it's a neat idea for a smallish kit like this. The wing ribs and engine air intake are finely moulded, and the gleaming appearance is such that you really need two kits, completing one of them like the one shown here as an unpainted, transparent display miniature. The Seabee (below) shows how realistic a carefully built example can be. The surface treatment for the water is really attractive, and note the opened access door at the nose. We're not quite so keen on the transparent propeller disc though, even if it is making a brave attempt to replicate a working engine. We reckon you're better off with either a static prop, or even cut off the blades entirely and smooth off the spinner. 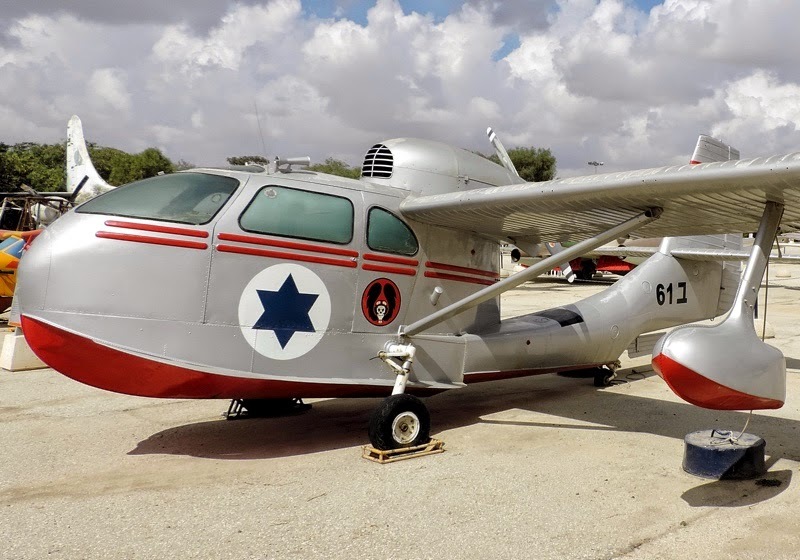 The Israeli Seabee (below) makes a fine museum display piece. Despite the aircraft's age, the number of flying examples is actually going up, as new ones are put together from wrecks and junkers. Plans (below) reveal the oddly satisfying proportions of the Seabee, its pusher-prop giving the tail surfaces plenty of breeze for good directional control, both in the air and for taxiing on water. Beautifully polished-metal finish (below) for this Seabee. For model purposes, you can use any of the available metal coat finishes to create a similarly lustrous effect. Compact front office (below) of the Seabee has half-panel instrumentation, but duplicate flying controls. 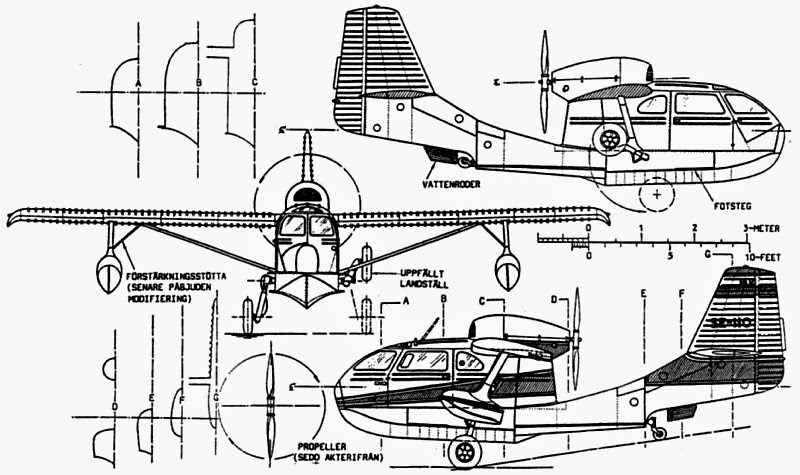 Seabee plans shown courtesy The Blueprints. There are many interesting items there. Look for coatings and other model finishes at Modelling Tools brought to you by Paul and Jackie Fitzmaurice at Little-Cars. Header pic courtesy Mat Marvellous Model Museum.